Home Patient and Public Involvement toolkit Patient and Public Involvement and Engagement For researchers How and when can I involve people in my research? More How and when can I involve people in my research? Patients and members of the public can be involved at each and every stage of the research process. There are some areas where it may be easier to do this for example, helping to carry out interviews at the undertaking stage or being part of the panel at the identifying and prioritising stage. If there is a valid reason that patients and the public can’t be involved, there is no reason to include them as a token exercise. However, there are ways to meaningfully involve people in all stages. 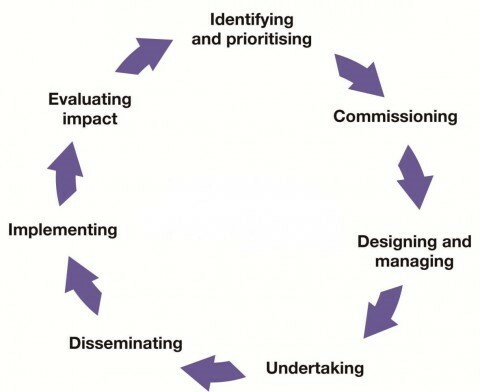 Identifying and prioritising: Holding a meeting with a group of patients and/or members of the public to decide on an evaluation strategy for a project designed to support people with cancer to return to work. Commissioning: Inviting patients and the public to sit on NIHR panels and review funding applications. Implementing: Patients-members of the Stroke Research Patients and Family Group involved in rolling out of re-configuration at a second hospital in Manchester. Monitoring and evaluating: Carrying out interviews with patient/public members and research staff to gather views on the impact of PPI and what could be done to improve PPI.